These high-quality roller blinds from Hauck effectively protect from direct sunlight and thus from a rapid heating of the vehicle. The lightweight yet sturdy mesh material is 37 cm wide and can be adjusted in length. The view out is not affected. 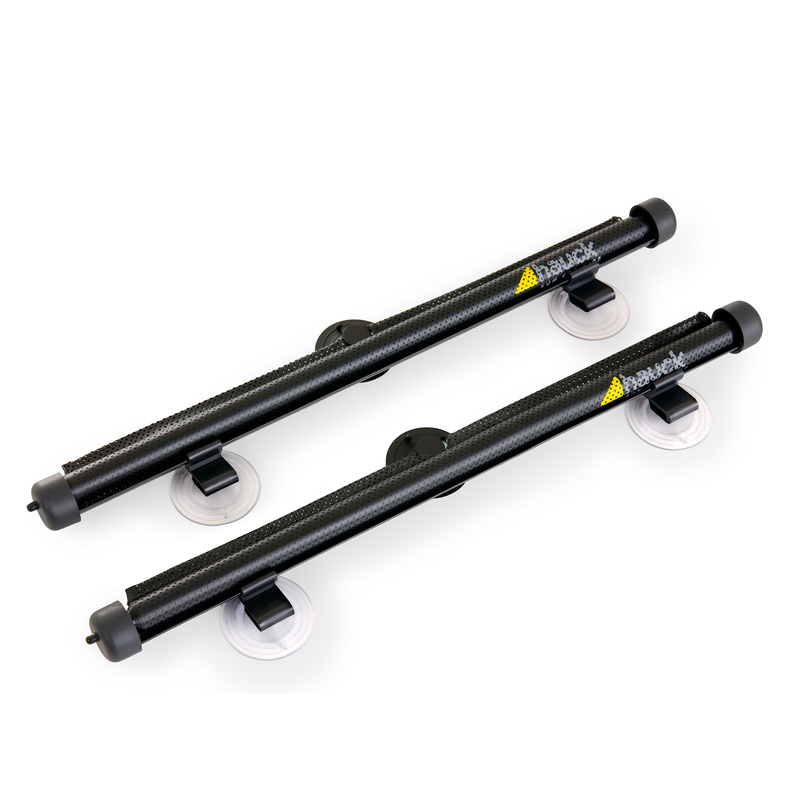 The sun protection can be rolled up at the push of a button on the side of the guide rail. 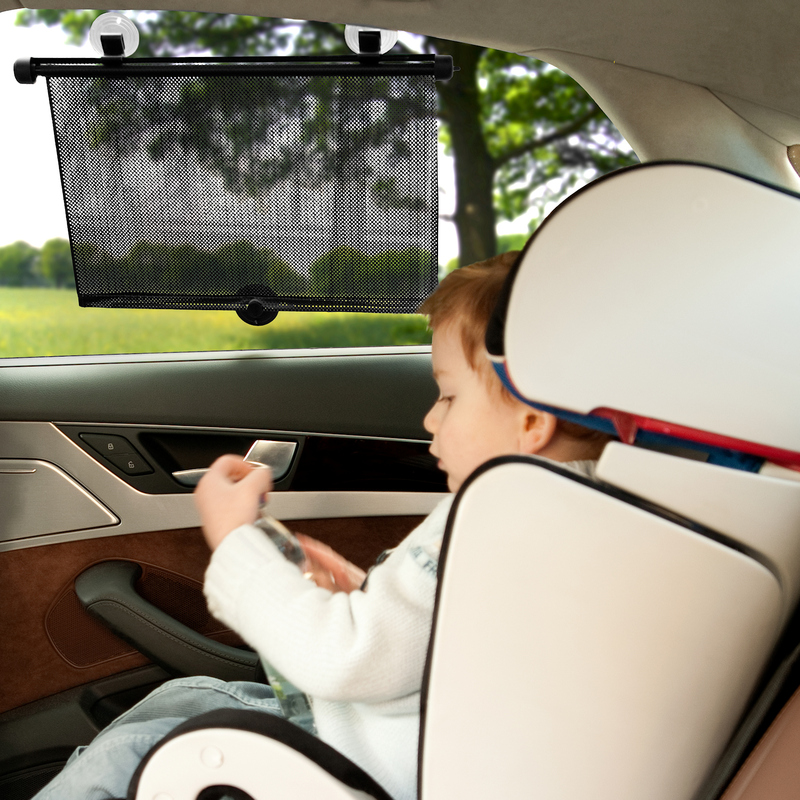 It can be attached either by means of the two clips directly to the window of your vehicle or by extra strong suction cups on the window pane. 2 pieces per package.